This entry was posted in Uncategorized and tagged audience, author, blog, blogger, connection, e-book, fame, free, friends, genre, hardbound, interest, location, marketing, notice, paper back, platform, print sales, promotion, sales, Signing event, soft cover., store, trend, value, Writer by timdesmondblog. Bookmark the permalink. Although having nothing published yet…I can relate, for me it’s getting any of the friends in ‘my’ network of Facebook, Twitter, etc. to get behind me. Likes, Follows and such are just dismal at times. 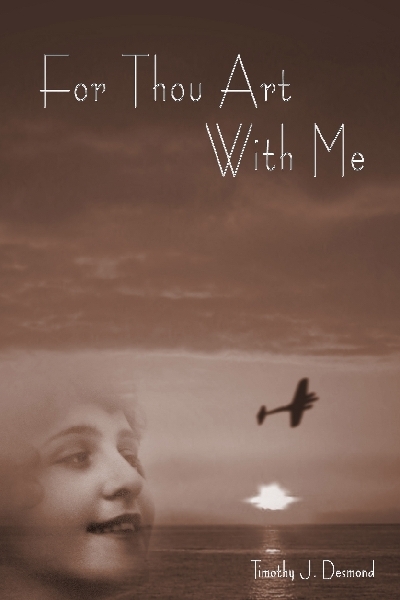 For Thou Art With Me was a fantastic story (sorry I’m partial to the aviation theme) and from that story (if nothing else) you have a fan in me. Tim here brings up a good point? Chris, thank you for the reblog on your site. It doesn’t seem like seven years ago when I was doing my signing “tour” of For Thou Art With Me. The topic of the “events” piece was maybe a knee jerk reaction. The cover graphic I added later, as it was “the book” then.